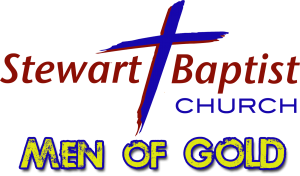 The Men of GOLD was organized to carry out various ministries at Stewart Baptist Church. They were founded on the principles that God Ordains, Leads, and Develops them to grow spiritually as men of the church and as the spiritual leaders of their families. They meet on a monthly basis, usually on the second Tuesday of the month at 7:00 P. M. in the fellowship hall. Meetings consist of food and fellowship followed by a devotional, an inspirational DVD, or personal testimonies. 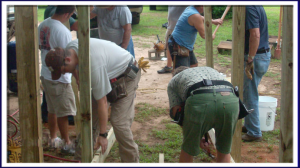 Workdays are scheduled to carry out projects to help members of our congregation. 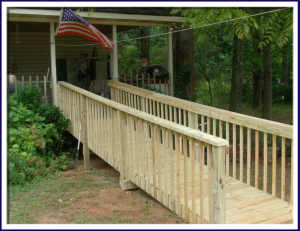 These projects have included the construction of wheelchair ramps to assist members with physical handicaps, and projects like a one room addition to a family’s house to make room for their mother to move in to be cared for. They also visit our elderly church members, shut ins, the sick, and those in the hospital. The men have also begun a DVD Ministry to supply a copy of the services for those who could not attend. As God presents projects, they respond in obedience to carry out the Lord’s work. It is amazing as God presents projects, He always gives the resources to complete them, including the funds and the labor.